A Christian not yielded to the Spirit does not manifest the Christ-life. The Spirit of God has to permeate a life if that life is to radiate Him. We cannot do anything apart from being filled with the Spirit. I have a glove. If I say to the glove, “Play the piano”, what does the glove do? Nothing. The glove cannot play the piano. But if I put my hand in the glove and play the piano, what happens? Music! If I put my hand in a glove, and glove moves. The glove does not get pious and say, “Oh hand, show me the way to go.” It does not say anything; it just goes. Spirit-filled people do not stumble and mumble around trying to find out what God wants. They just go! 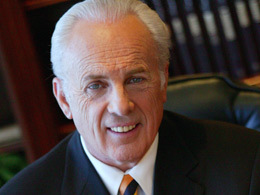 This entry was posted in Uncategorized and tagged Doctrine, Grace to You, John MacArthur by Coram Deo. Bookmark the permalink.